Music, especially classical music, alleviates stress, reduces blood pressure, helps sleep and relaxation, and boosts the immune system. Learning to play an instrument encourages permanent growth in the size and functionality of the brain, and helps synchronize EEG waves between the two halves of the brain. Students involved in classical music exhibit far fewer “problem behaviors” and are more cooperative, both at school and at home. Students who play instruments make better grades in all kinds of subject, score higher on tests, and have better college and medical school admission rates. 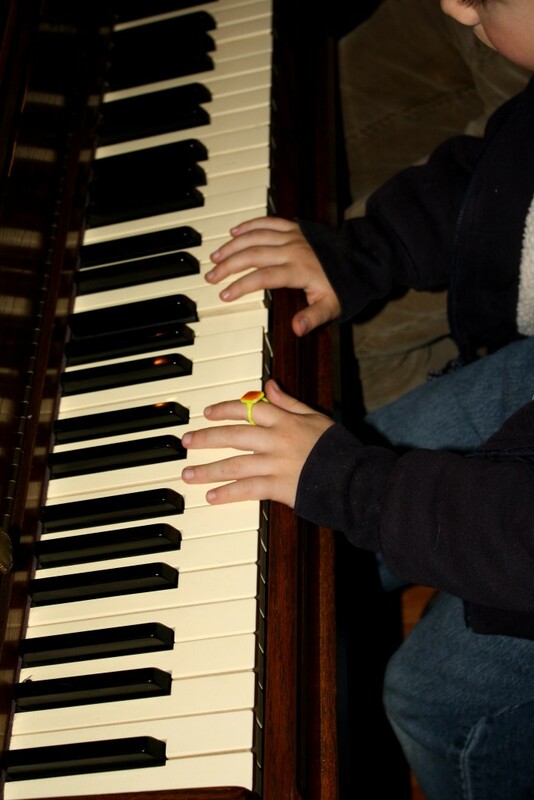 Students who learn to play an instrument have better self-esteem and have a large set of marketable skills. Learning to play an instrument teaches discipline, time management, organization, and many other skills which are useful not only in school, but in adult life as well. Colleges like classical music on applications, and playing for a senior center counts as volunteer work–something else colleges like to see. Colleges like classical music so much, they will give scholarships to students who play, even if they are not music majors! Families save money, time and stress in amounts far above the cost of lessons and instruments when children learn to play classical music. And classical music reduces stress for the whole family, not just the music student. Students who learn to play classical music receive far more academic awards and honors than their peers. Celebrate National Music in Our Schools Month by telling your local school how much you appreciate their music programs!